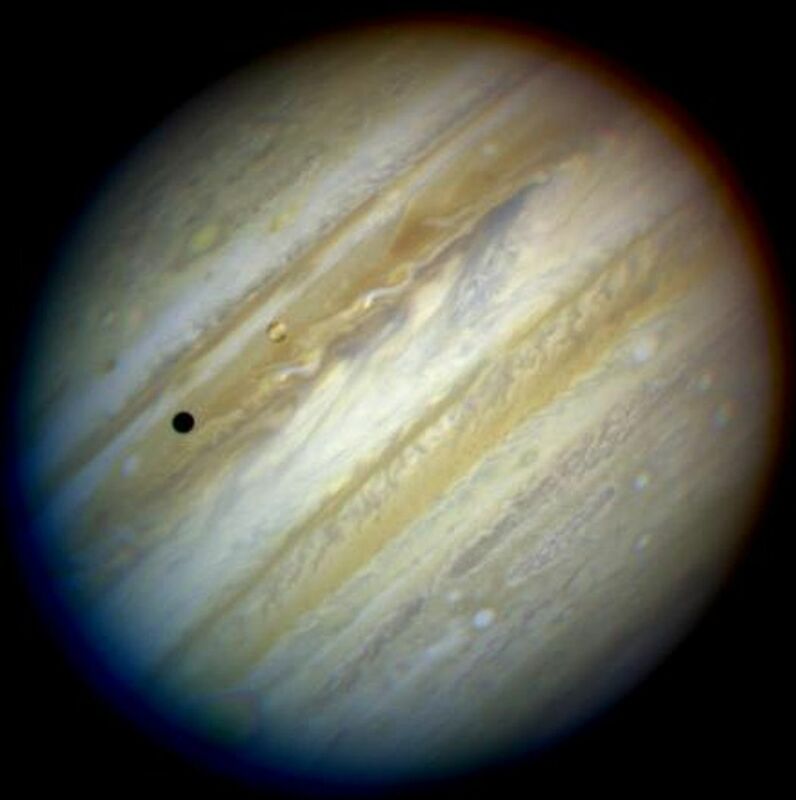 An image of Jupiter by the Wide Field & Planetary Camera-2 (WFPC-2) in wide field mode aboard Hubble Space Telescope, when the giant planet was at a distance of 420 million miles (670 million km) from Earth. 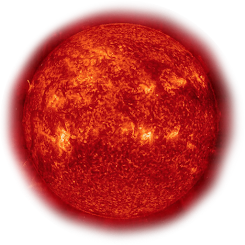 This "true-color" picture was assembled from separate HST exposures in red, blue, and green light. Jupiter's rotation between exposures creates the blue and red fringe on either side of the disk. HST can resolve details in Jupiter's magnificent cloud belts and zones as small as 200 miles (320 km) across (wide field mode). This detailed view is only surpassed by images from spacecraft that have traveled to Jupiter.